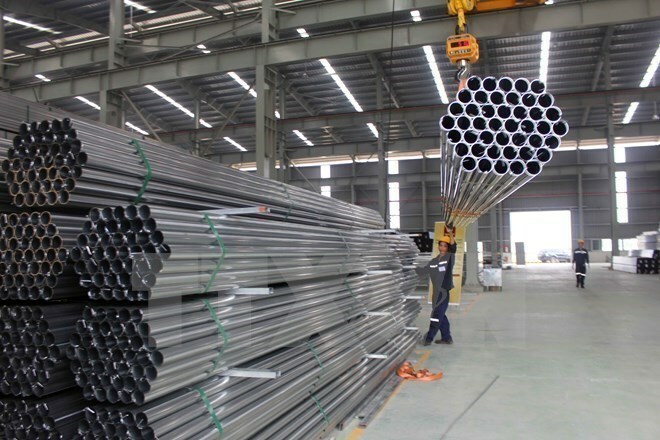 Hanoi (VNA) – There is not enough ground to say that the Government of Vietnam intervenes in the domestic prices of the carbon steel welded pipe industry, according to the final determination by the Canada Border Services Agency (CBSA). The Canadian agency was required to examine if Vietnam’s carbon steel welded pipe sector operates in accordance with the market economy’s principles. Vietnam’s Ministry of Industry and Trade has coordinated with relevant ministries and sectors to supply full information for the CBSA during the investigation and onsite verifications. With the aforesaid conclusion, CBSA calculated the dumping margin of Vietnamese exporters based on their actual production costs. This is the first anti-dumping investigation case in which Canada concluded that a Vietnamese manufacturing industry operates according to the market economy’s principles, without the involvement of the Government. The dumping margin of the two Vietnamese enterprises that export the product to Canada was concluded only at 3 percent and 4.9 percent, much lower that that of other exporters from Turkey, Pakistan, and the Philippines. This has helped Vietnamese businesses maintain their competitiveness advantages while exporting this product to Canada.